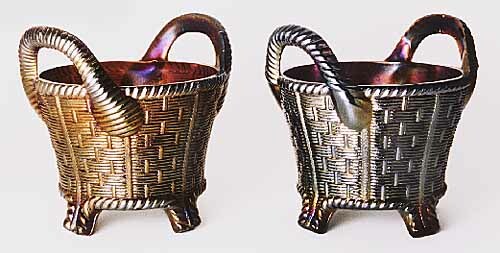 These baskets must have been very popular during the classic Carnival era as there are so many of them around (they account for more than 1% of all Carnival). 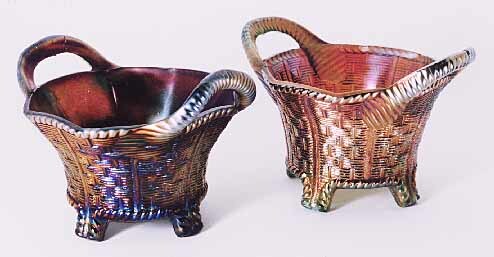 The baskets above are the regular round version: on the right is the rarer version with smooth handles where they connect to the bowl. 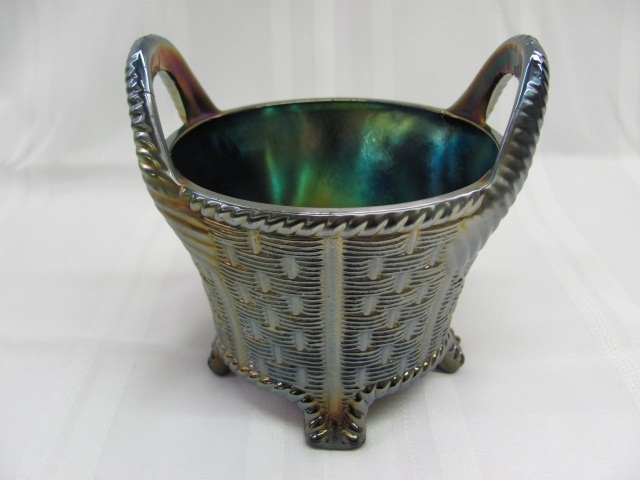 Aqua opal and ice green are common colors in the round versions. 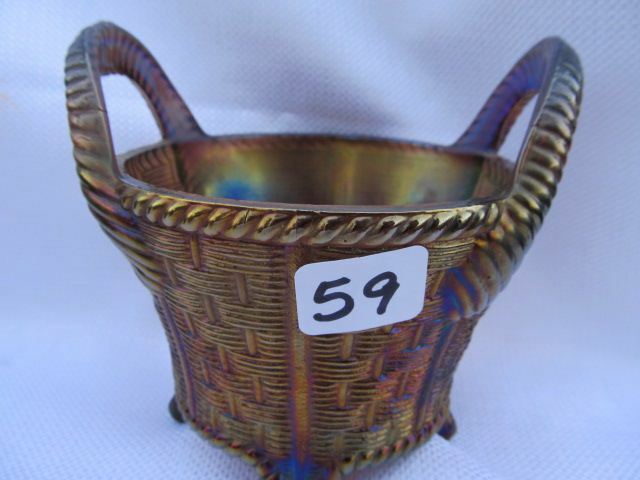 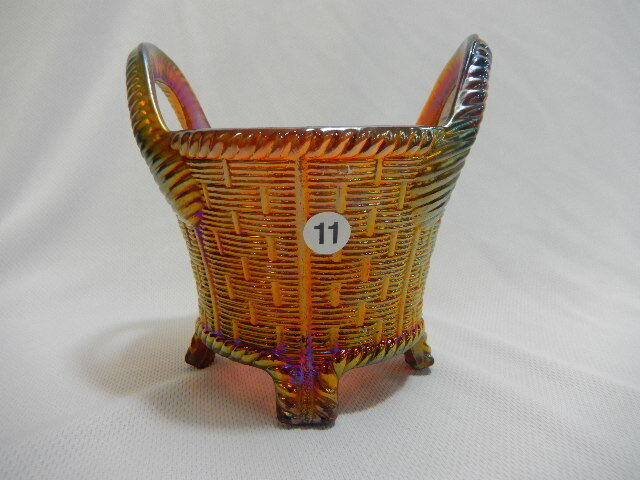 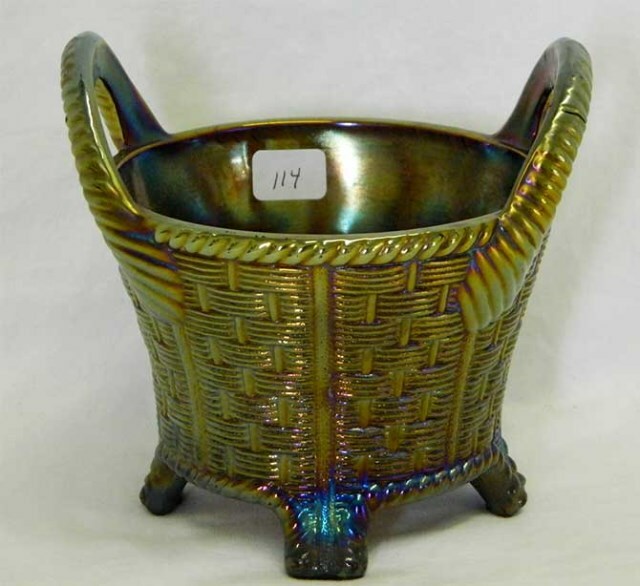 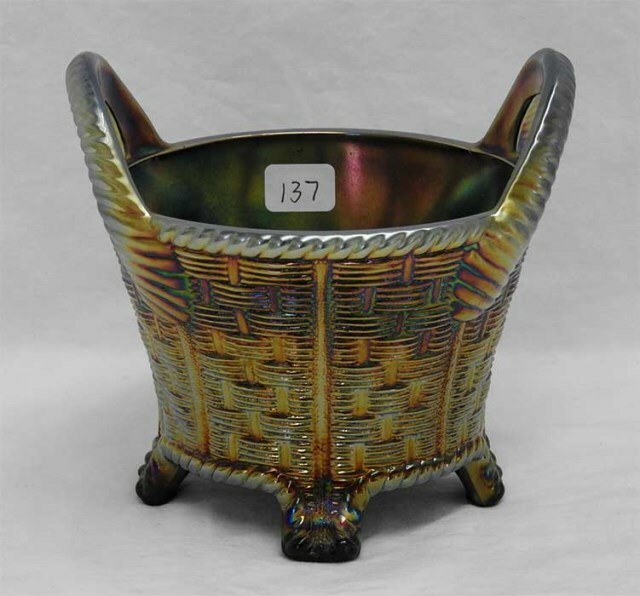 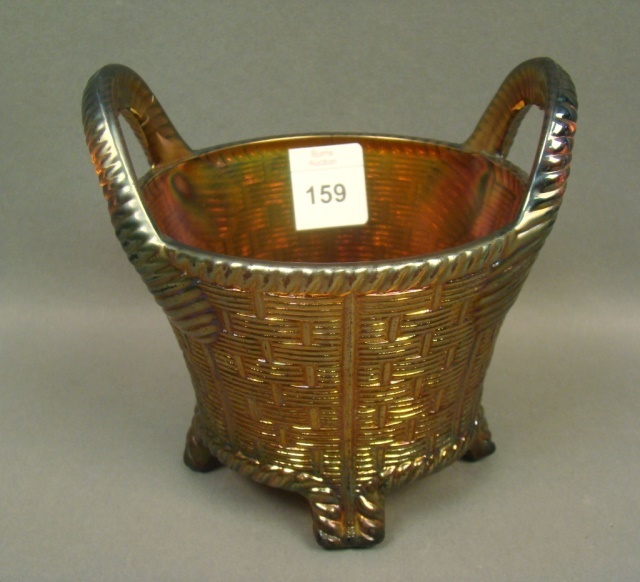 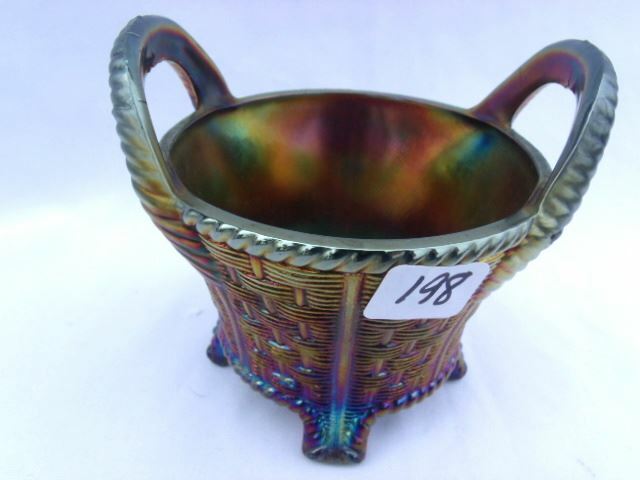 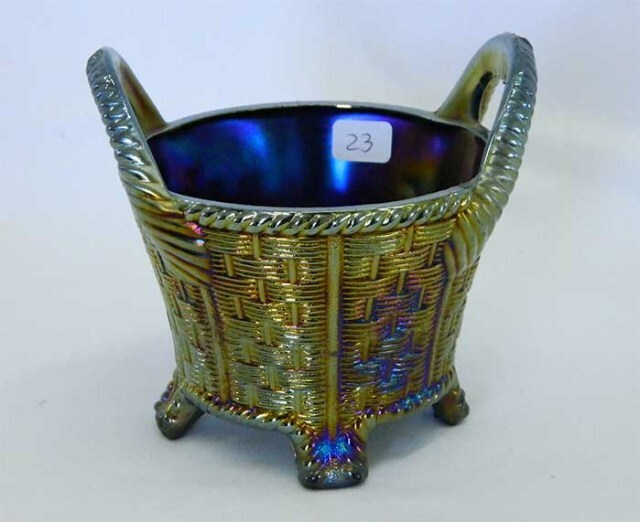 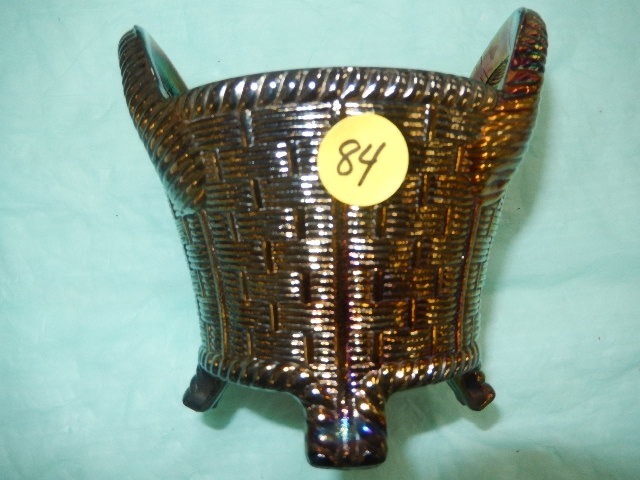 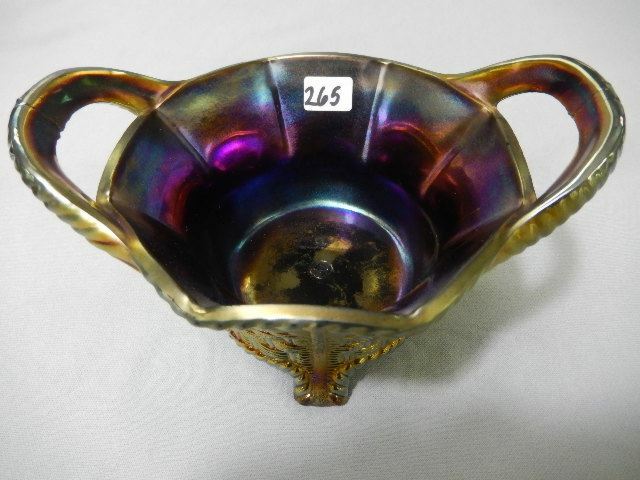 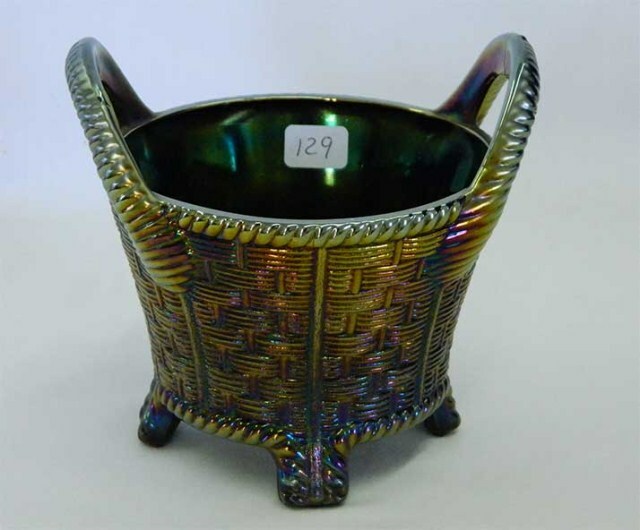 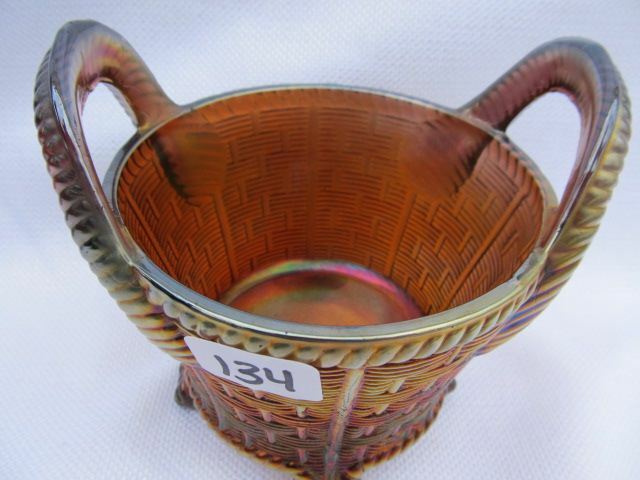 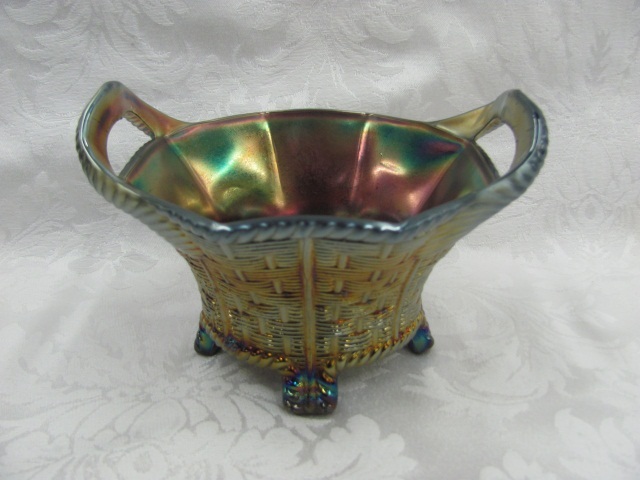 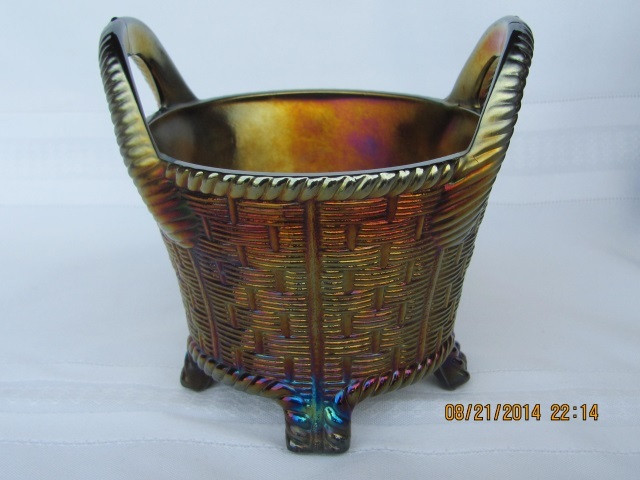 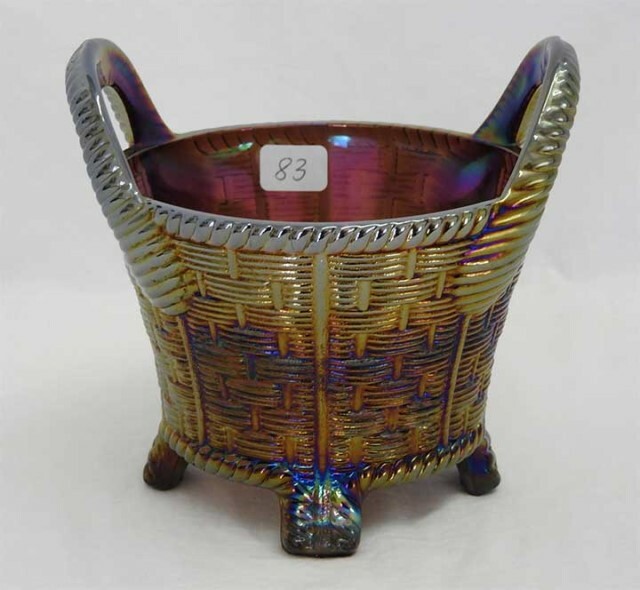 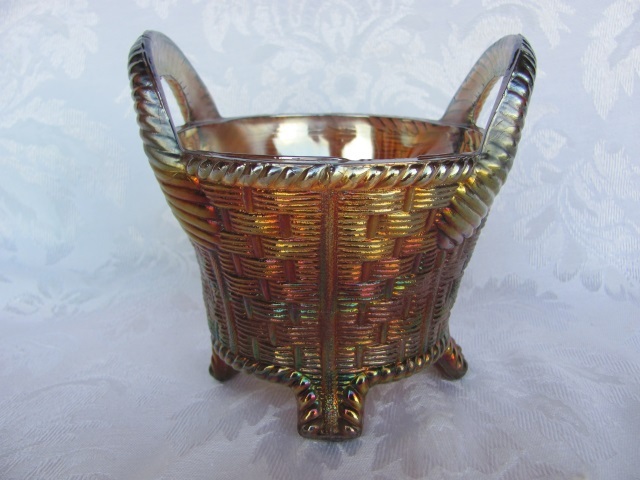 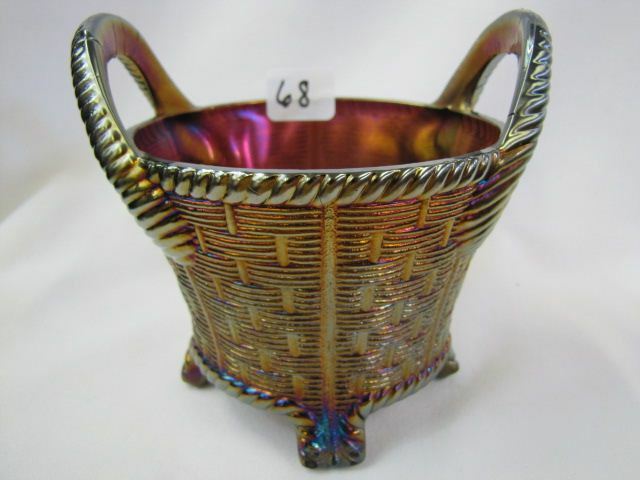 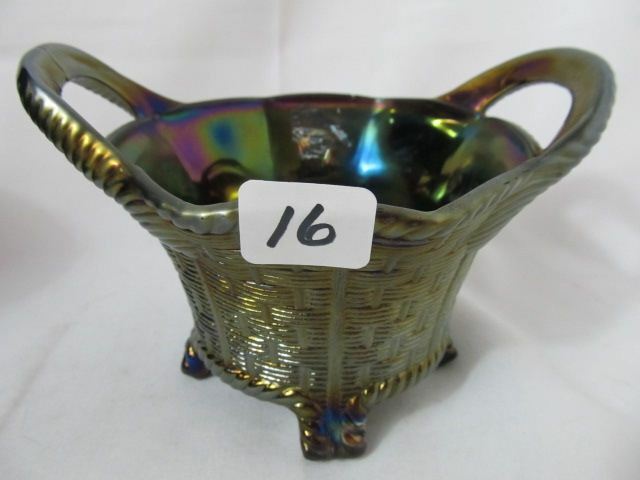 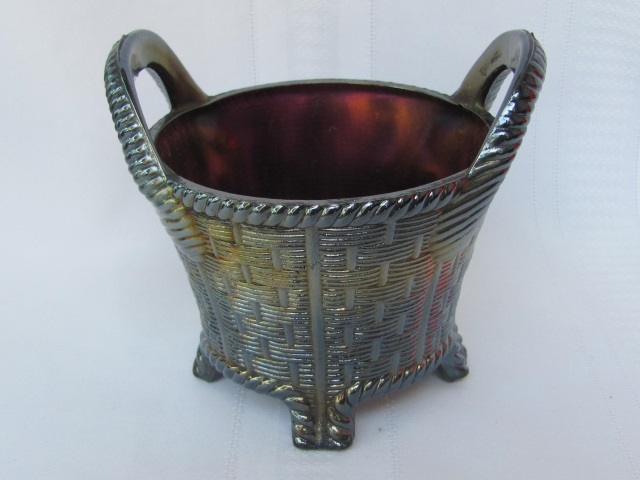 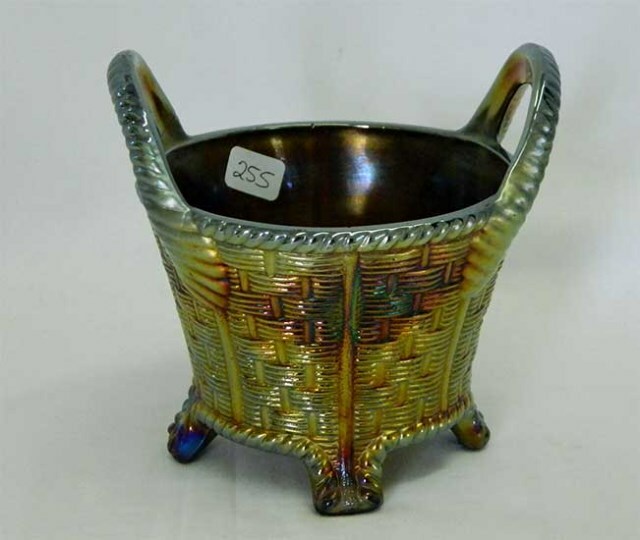 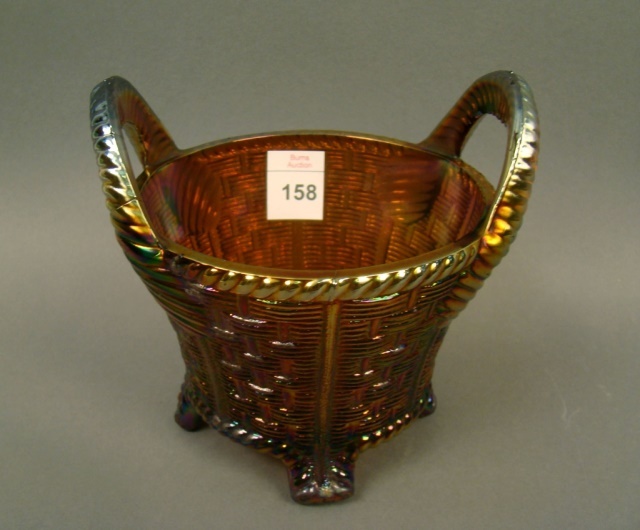 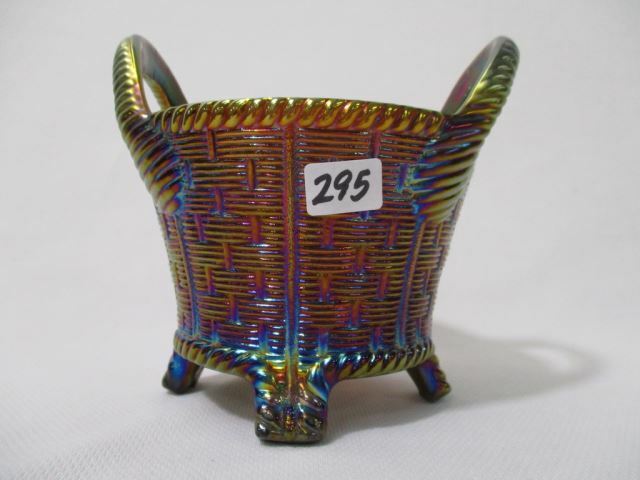 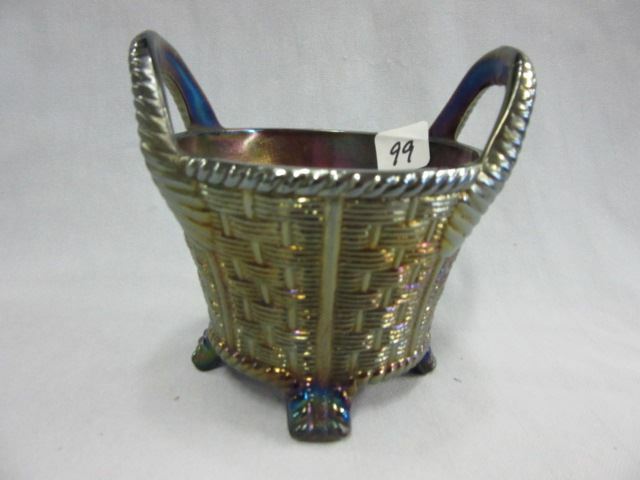 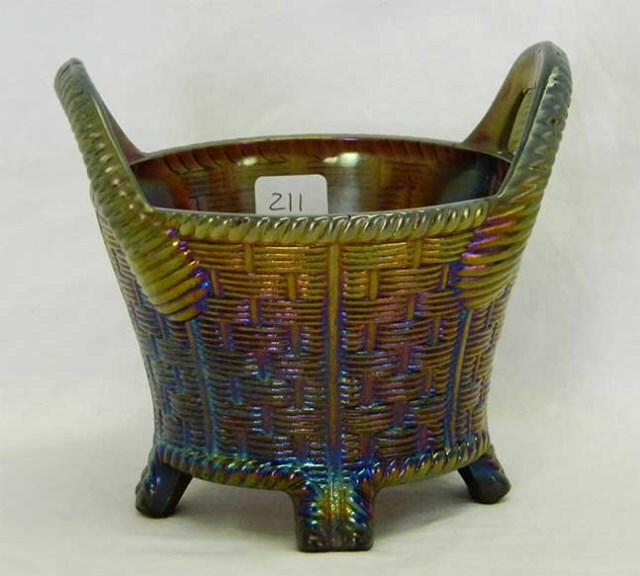 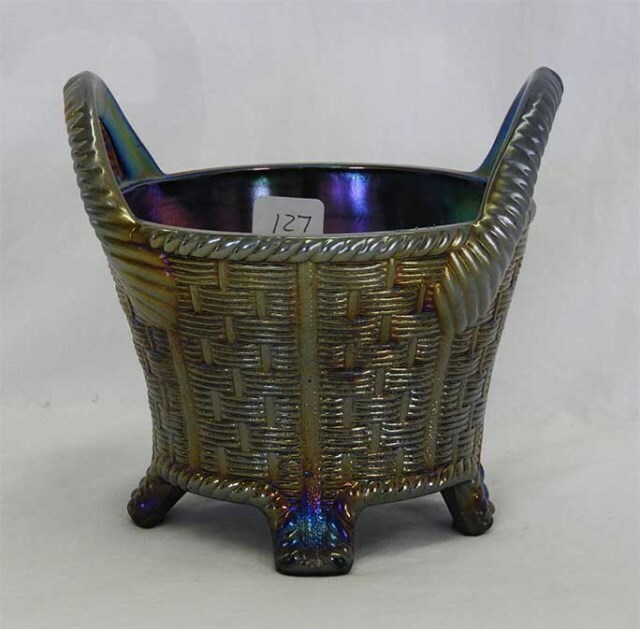 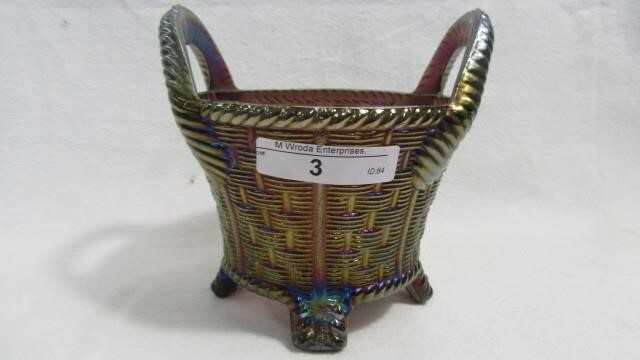 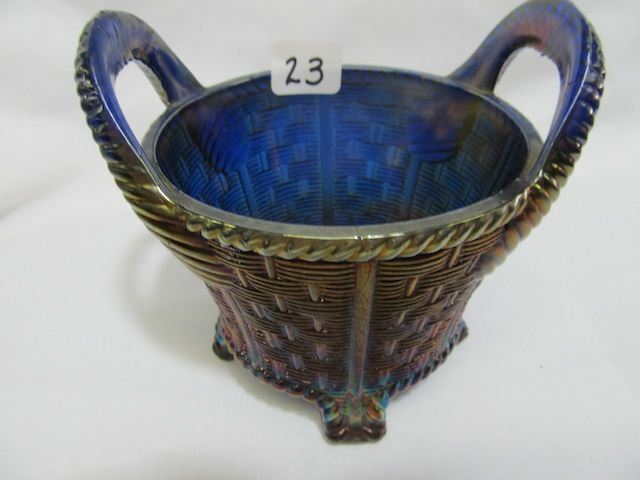 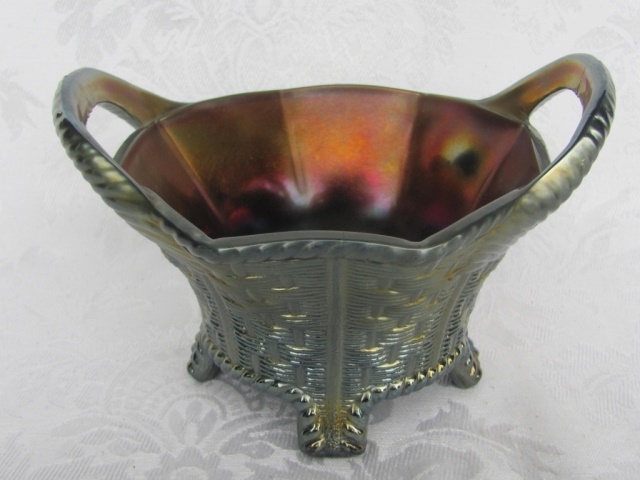 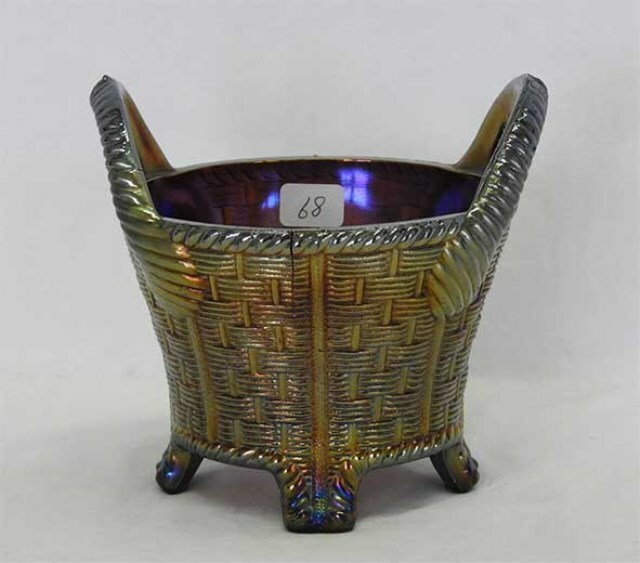 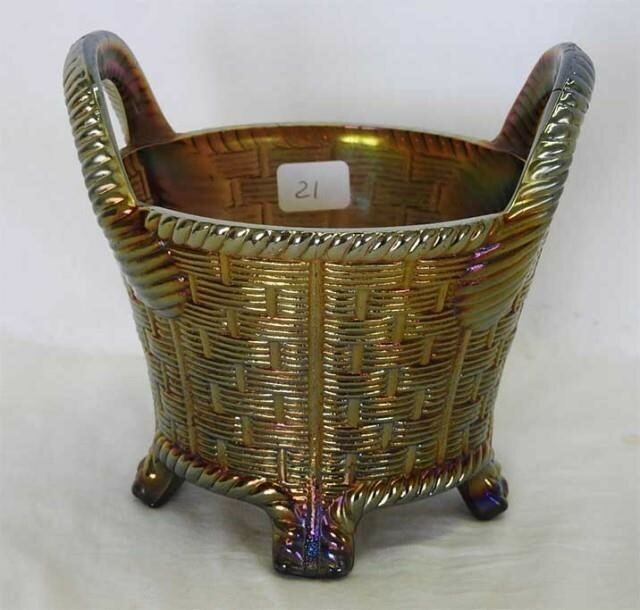 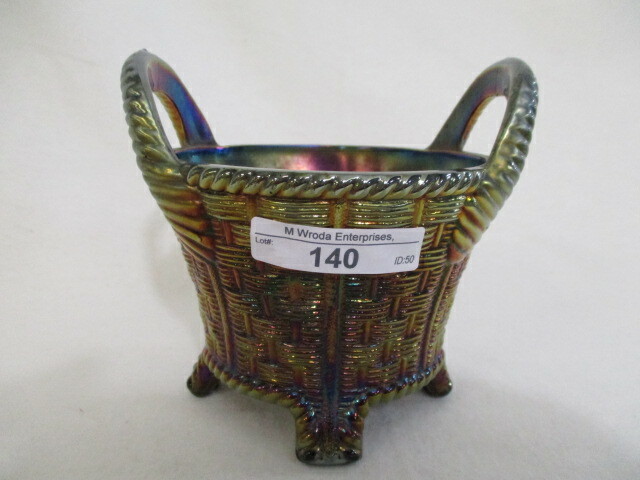 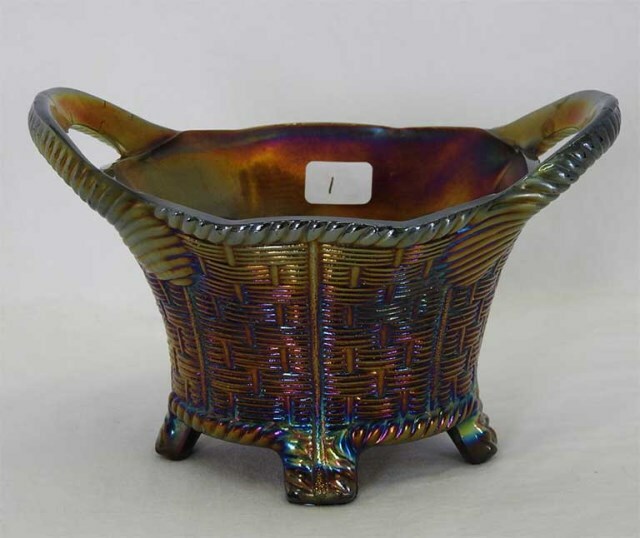 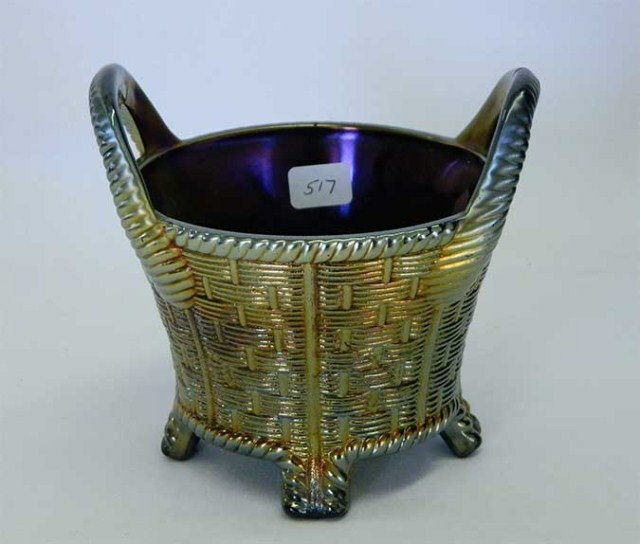 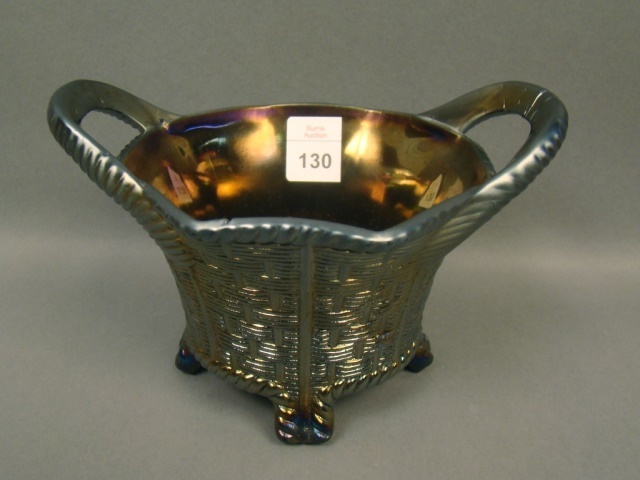 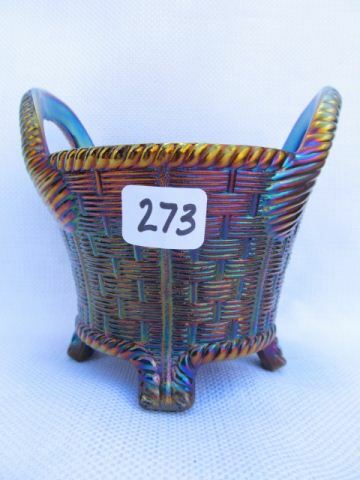 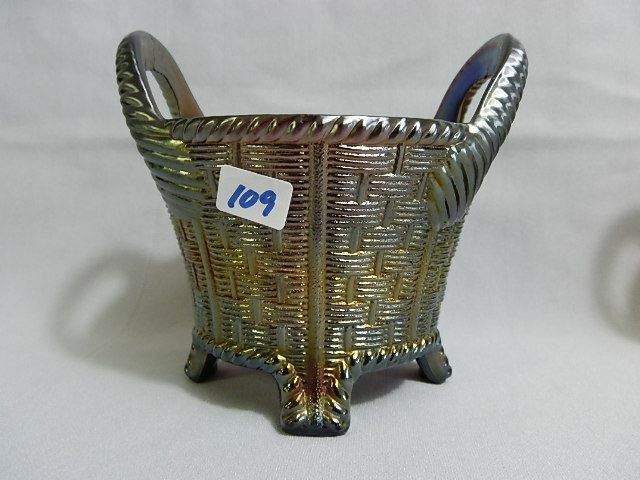 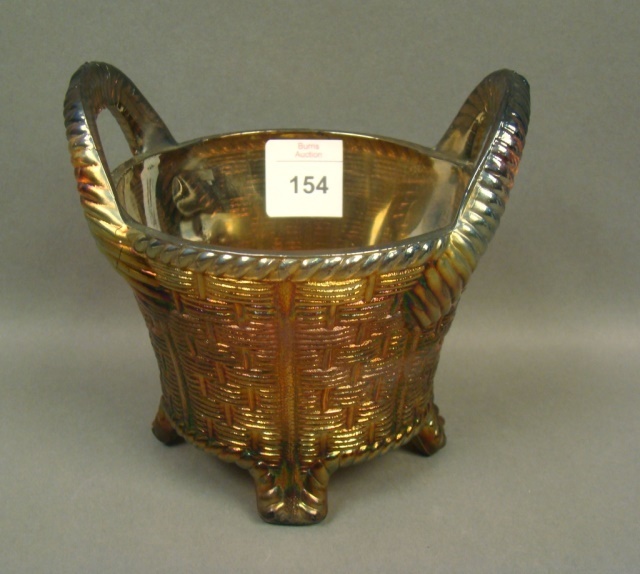 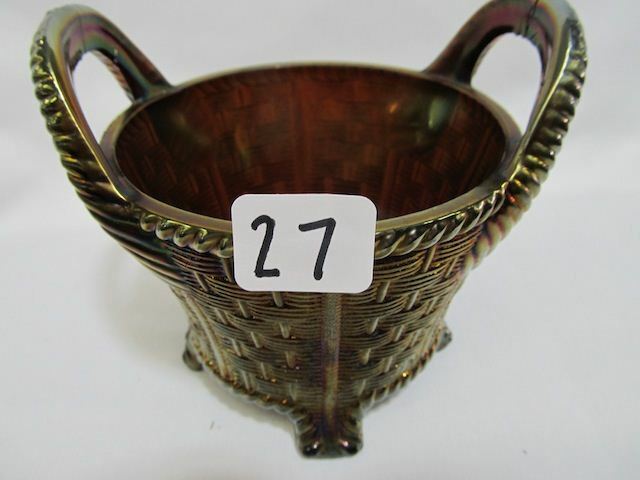 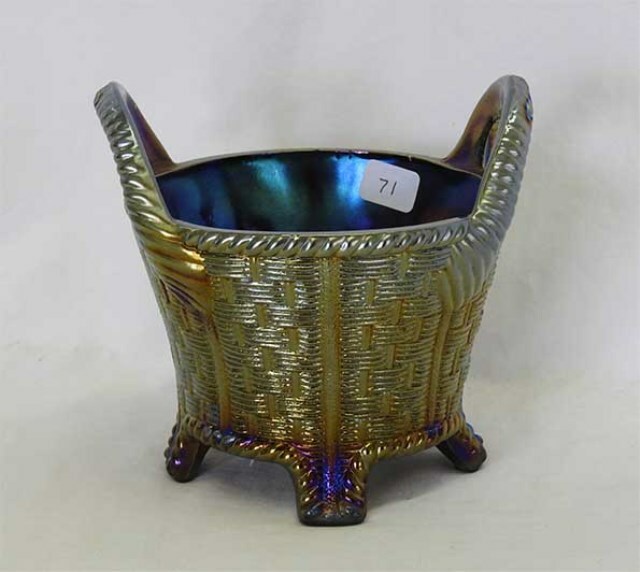 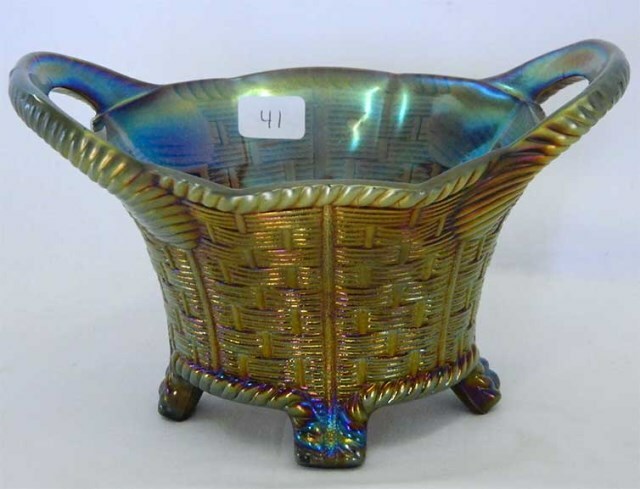 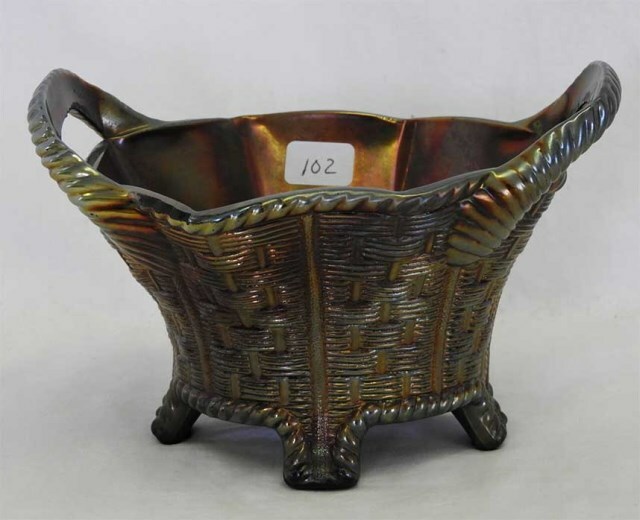 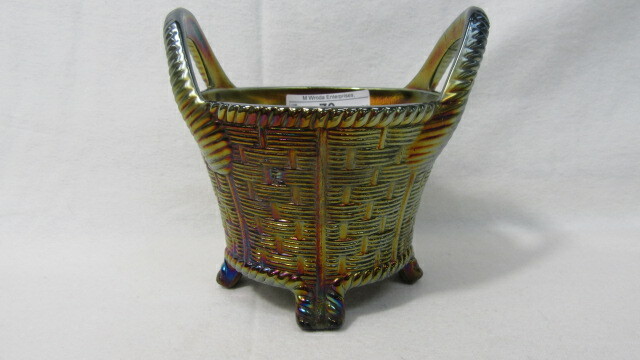 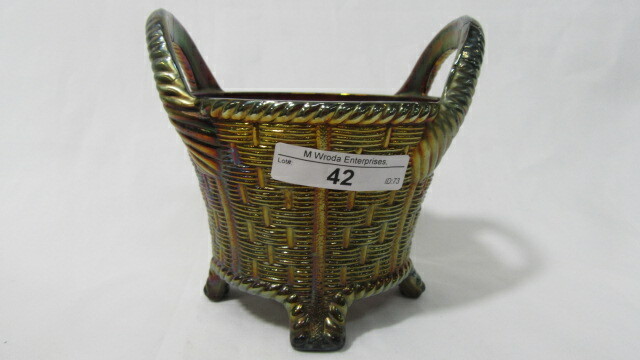 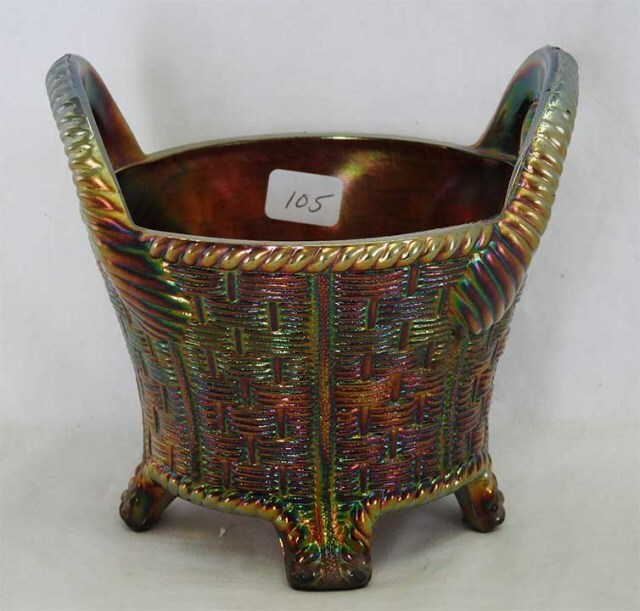 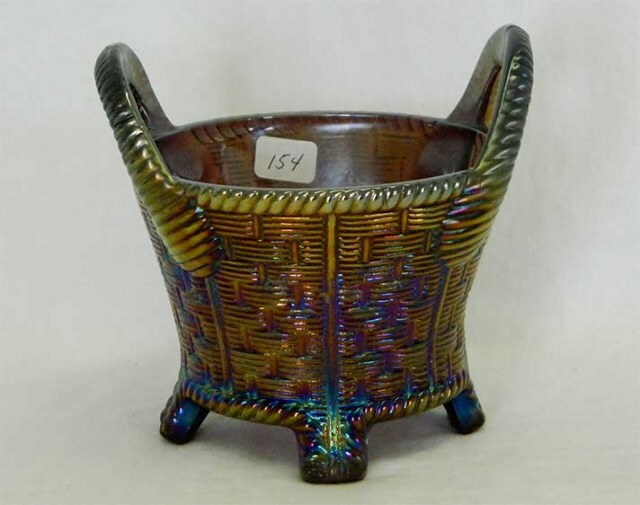 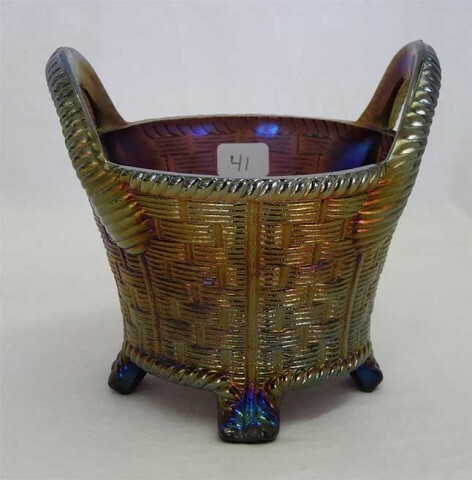 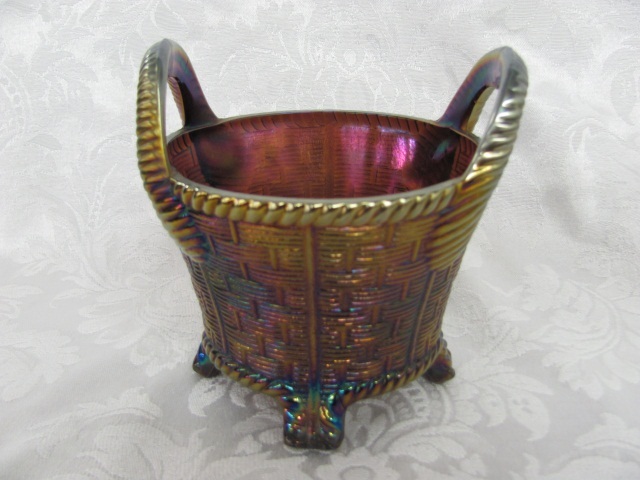 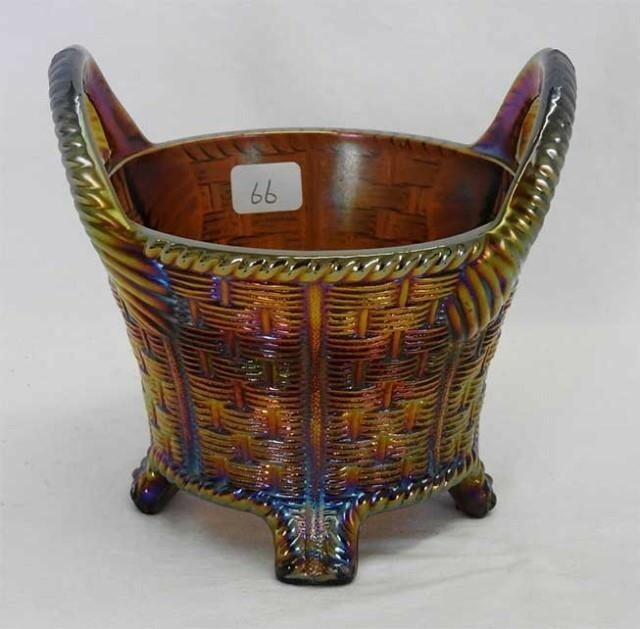 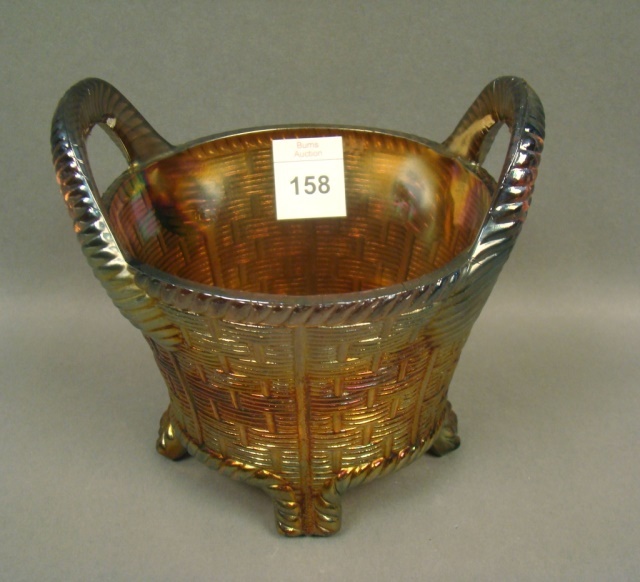 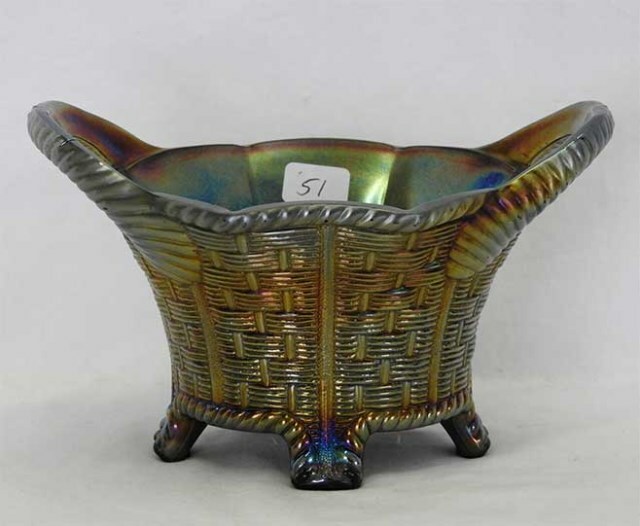 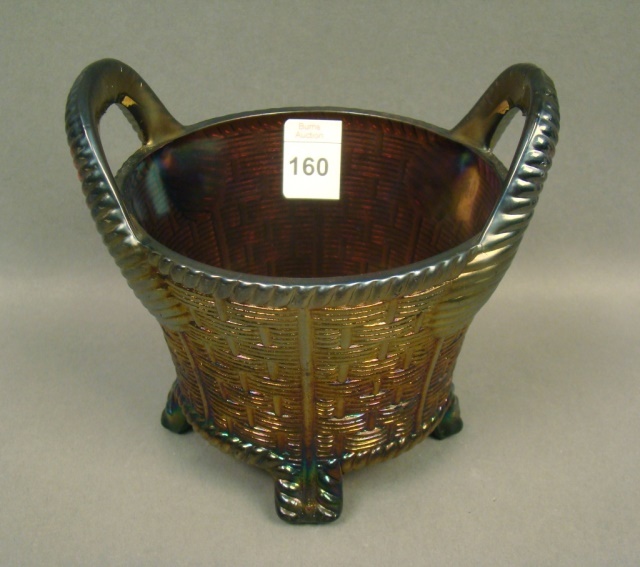 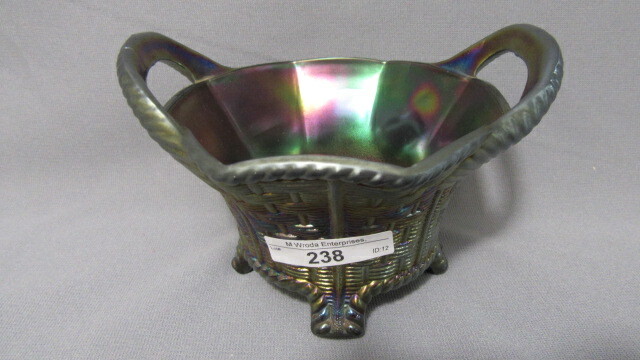 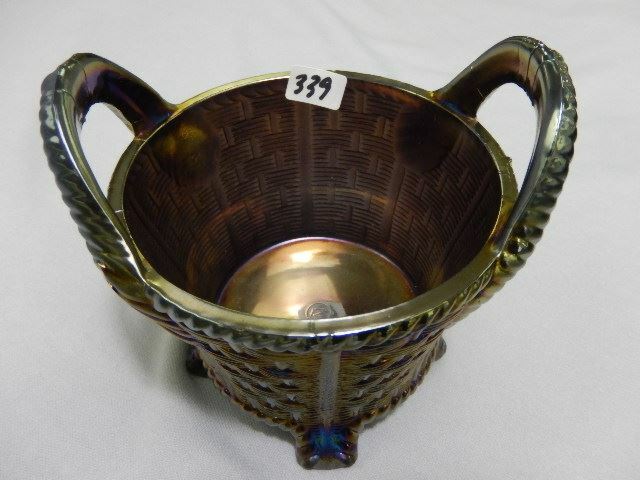 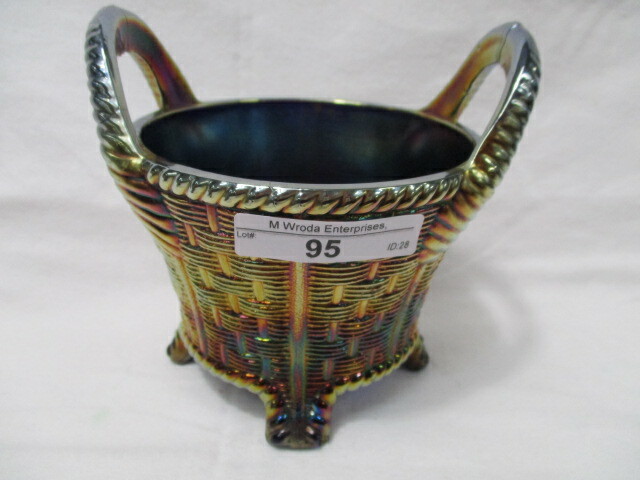 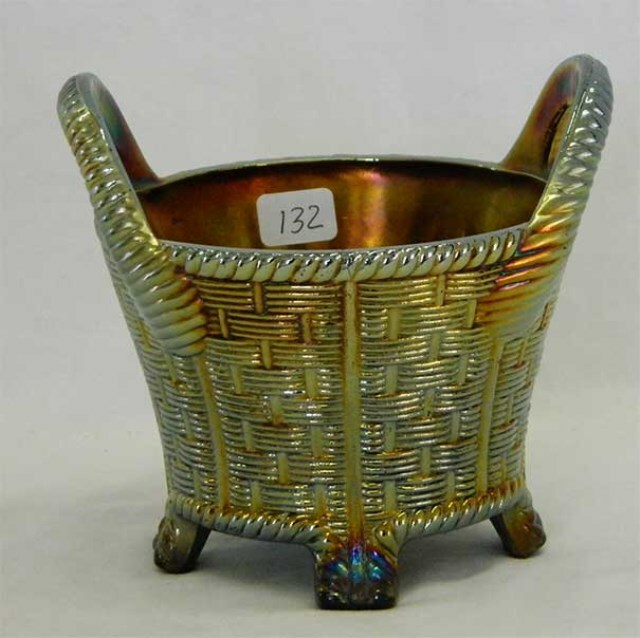 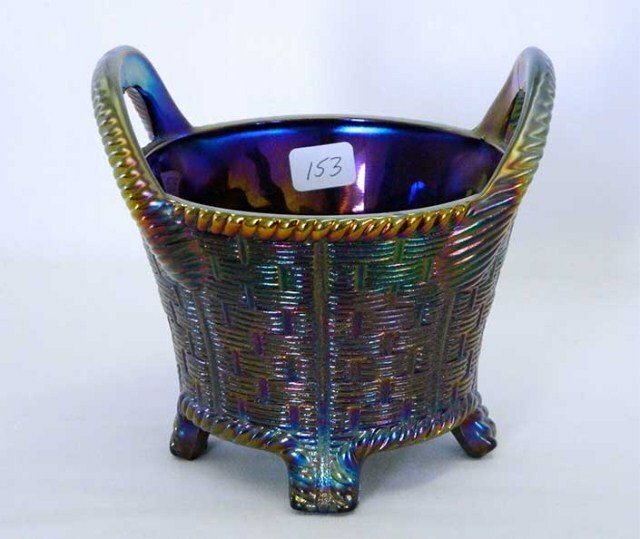 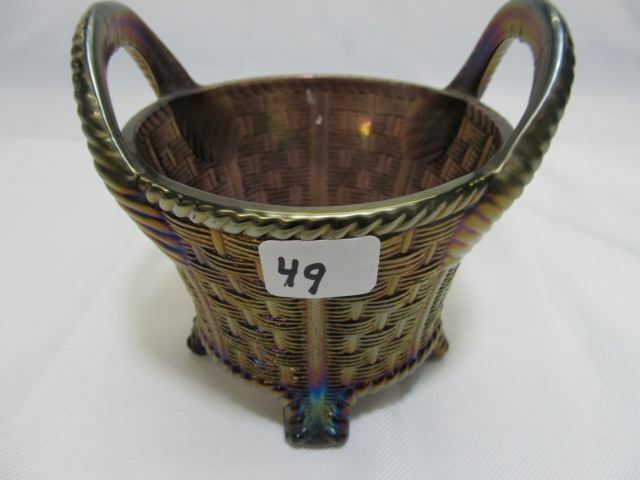 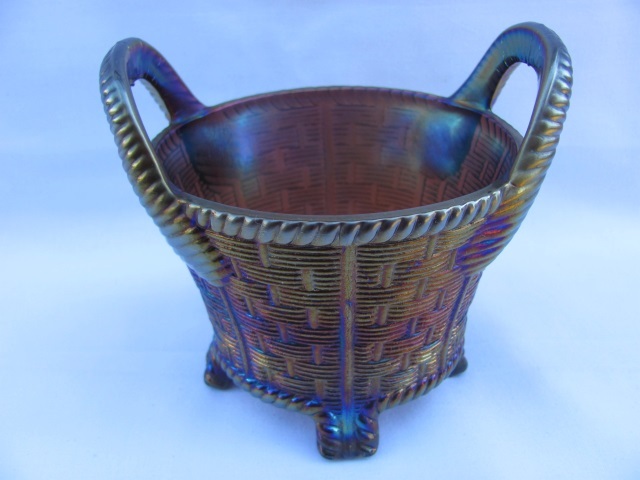 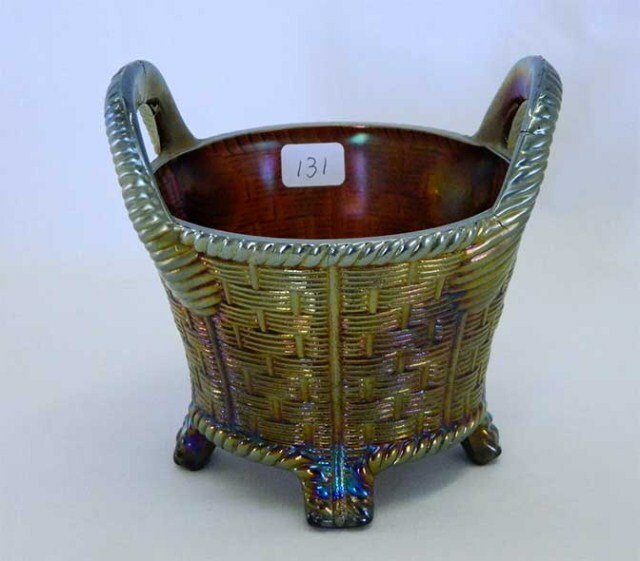 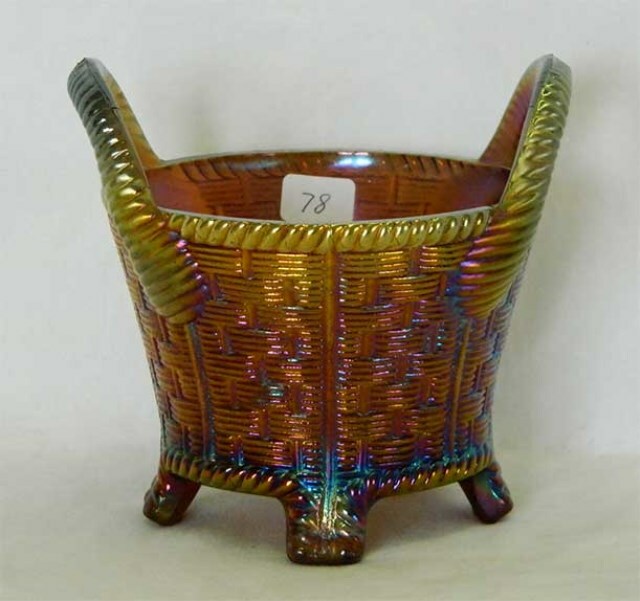 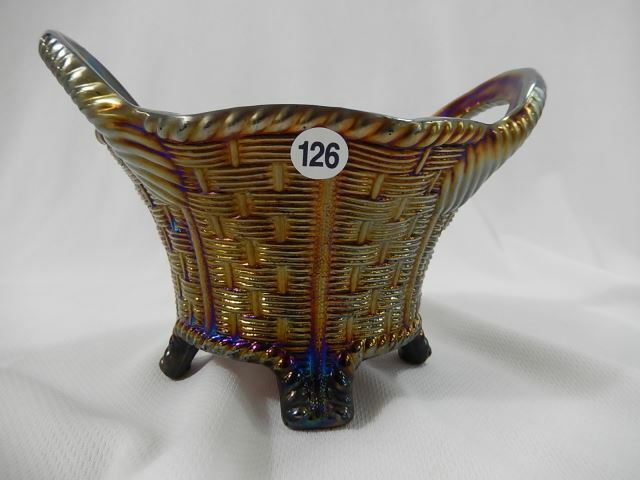 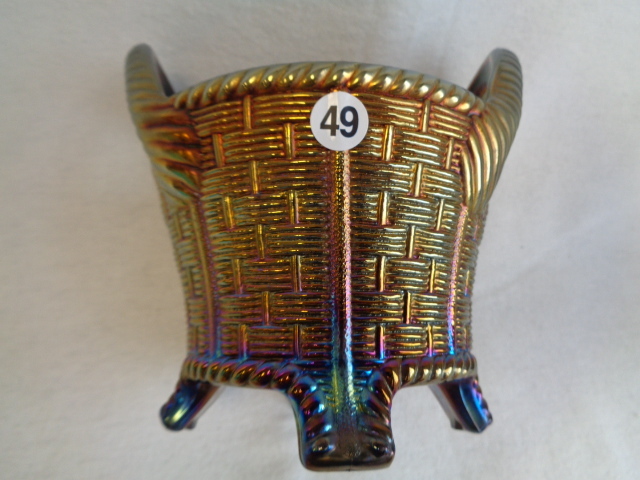 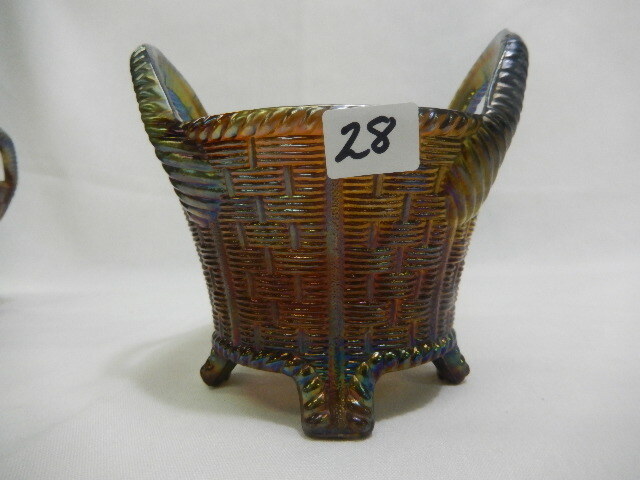 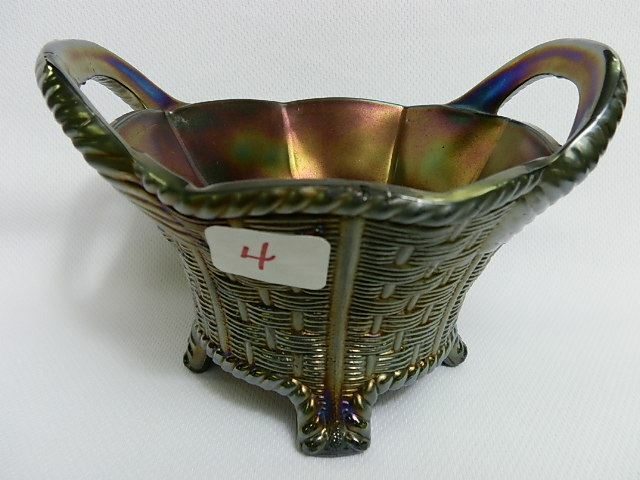 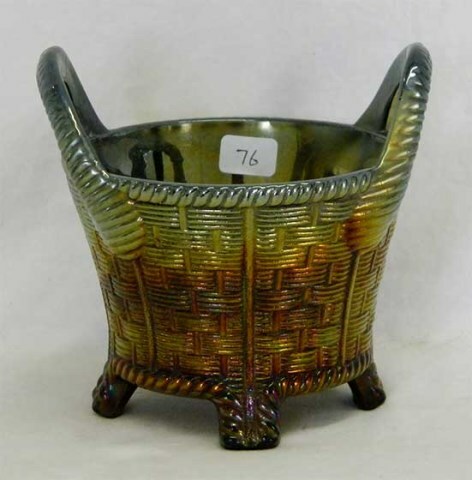 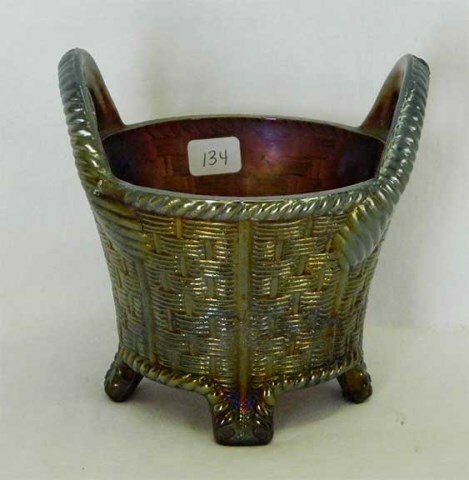 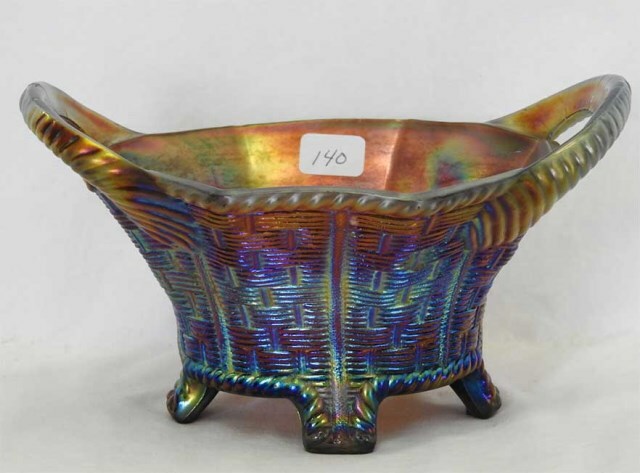 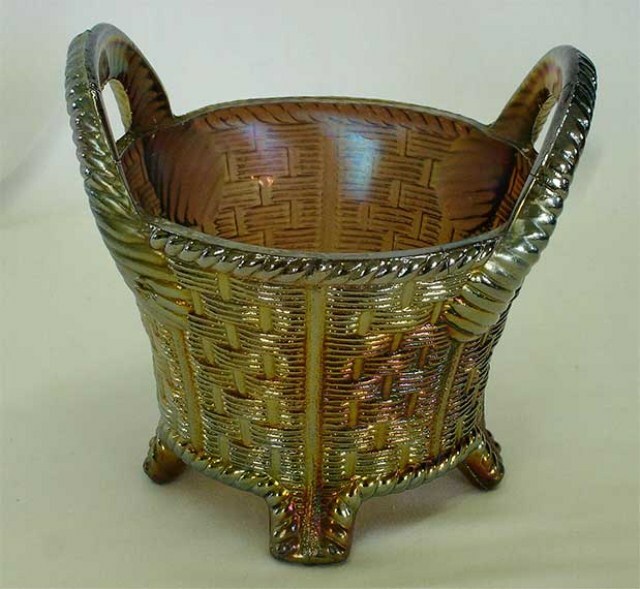 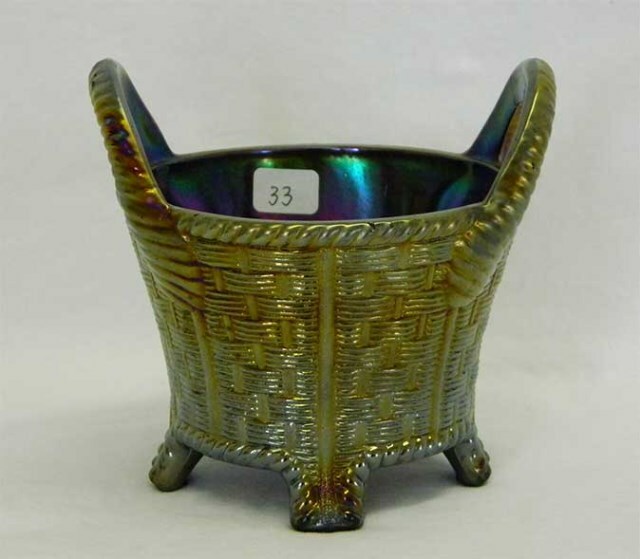 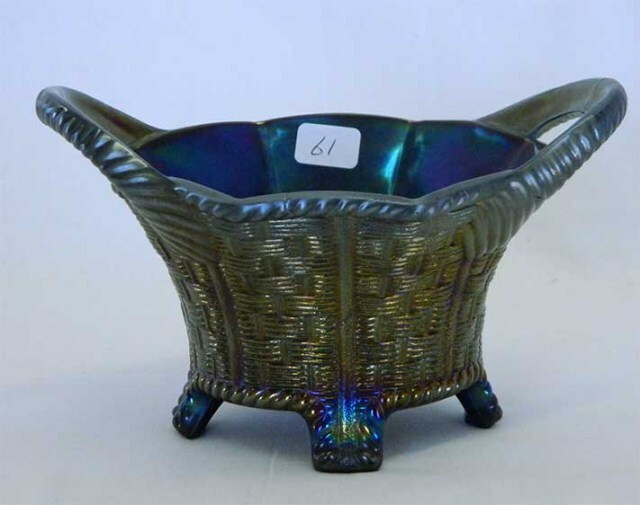 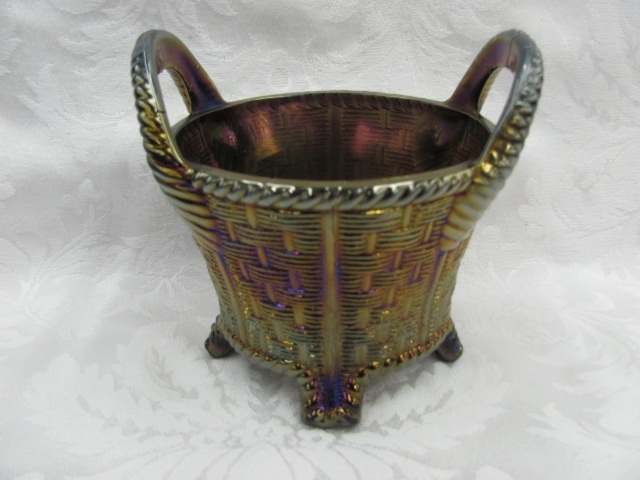 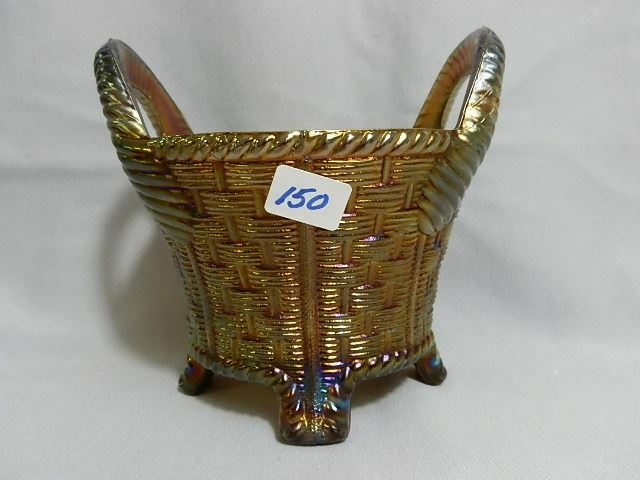 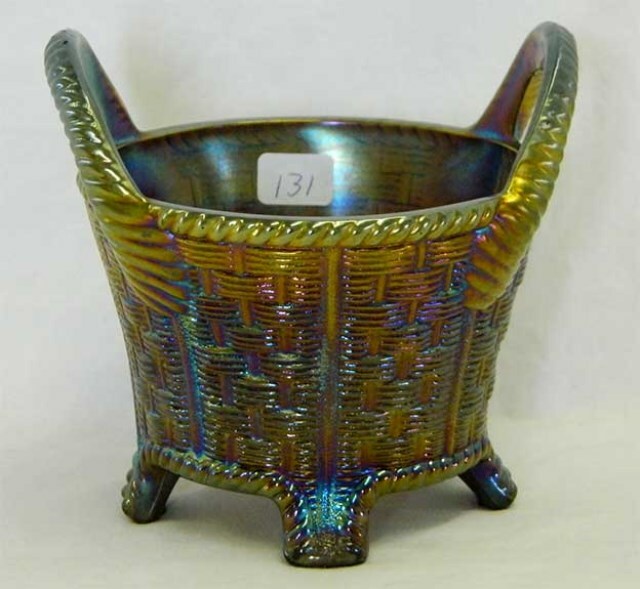 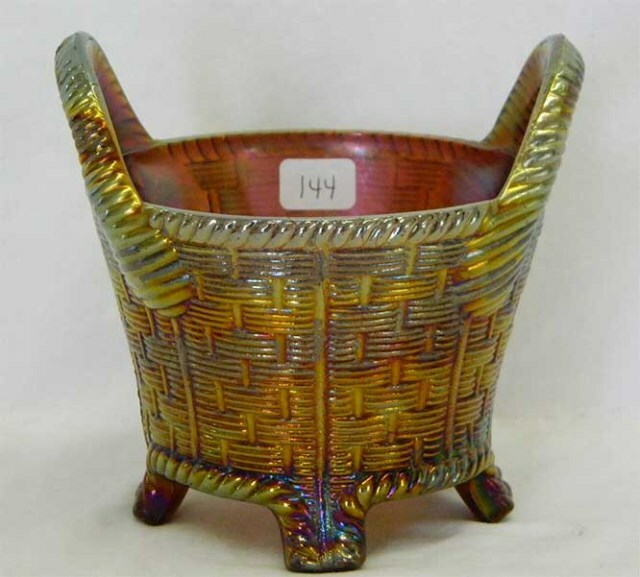 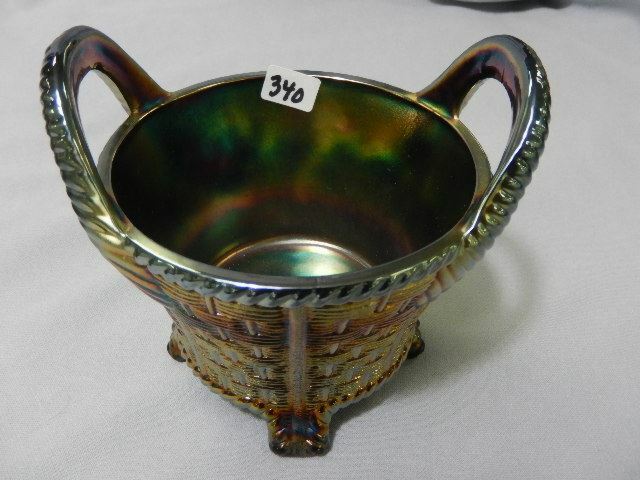 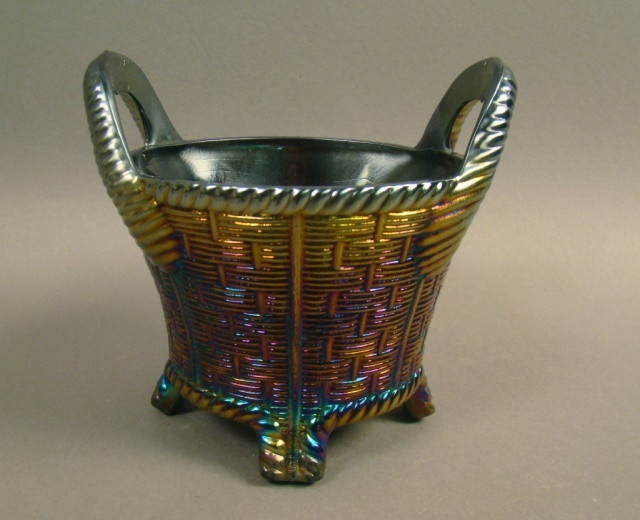 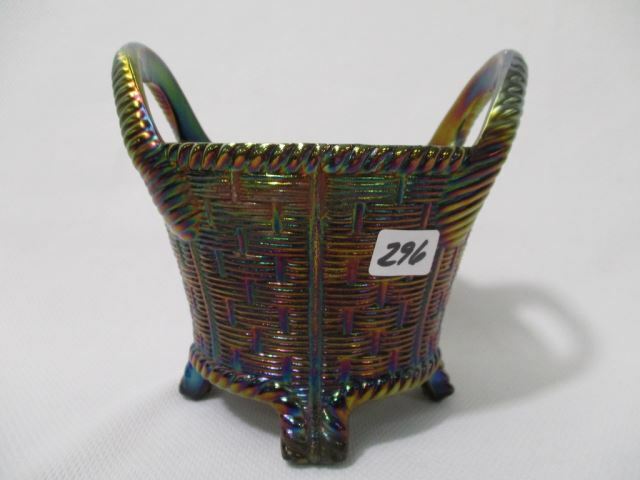 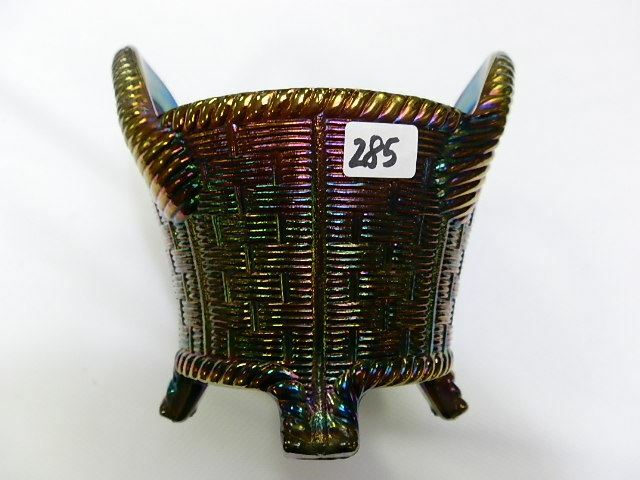 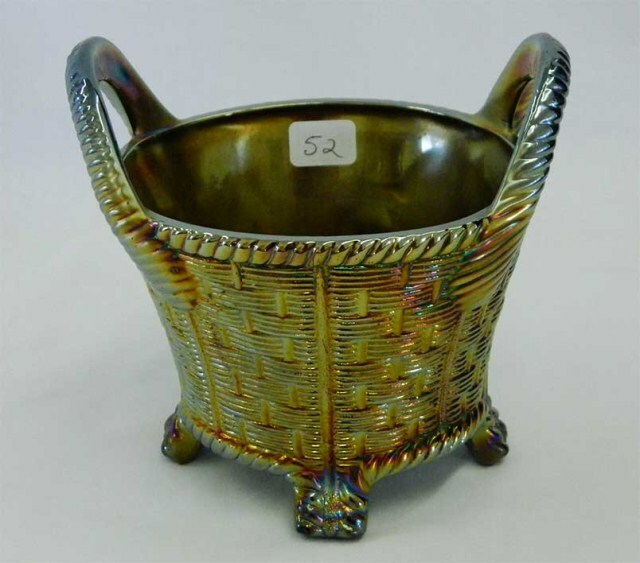 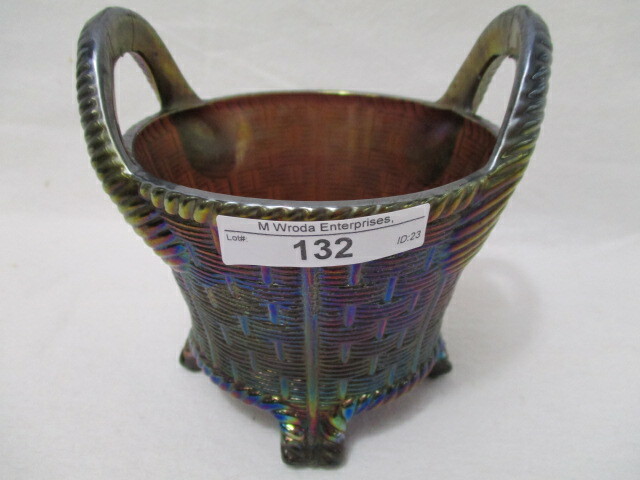 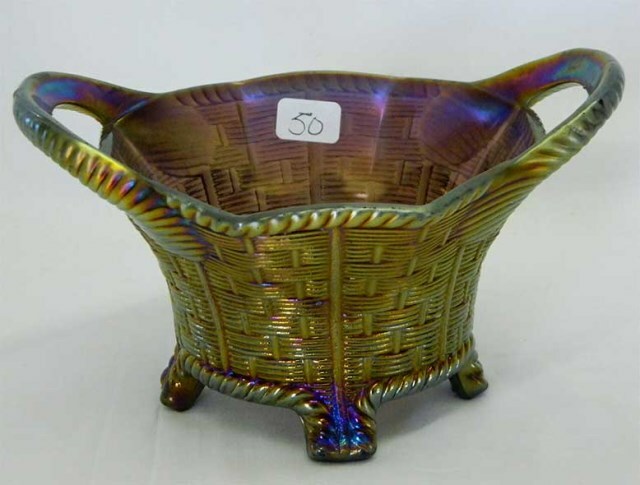 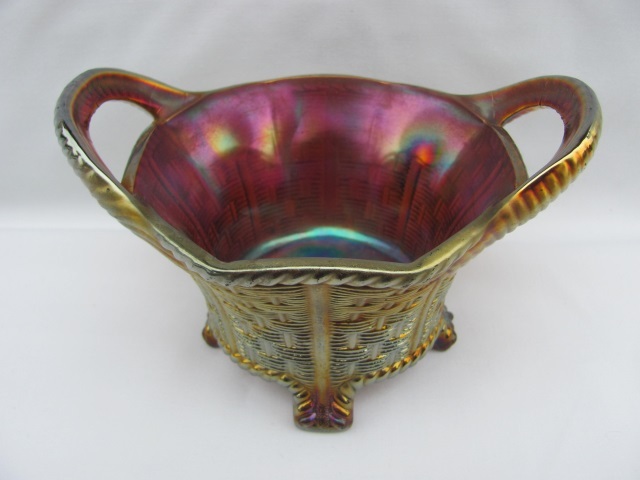 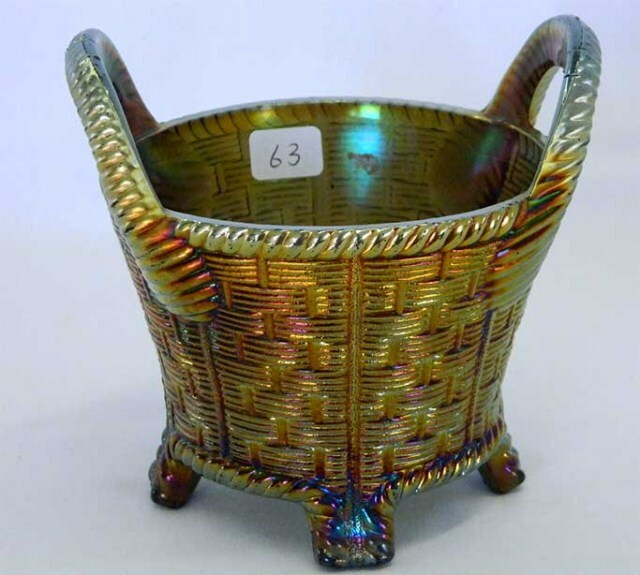 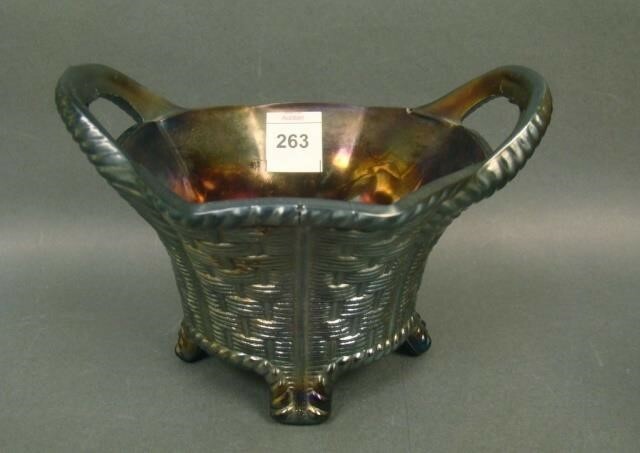 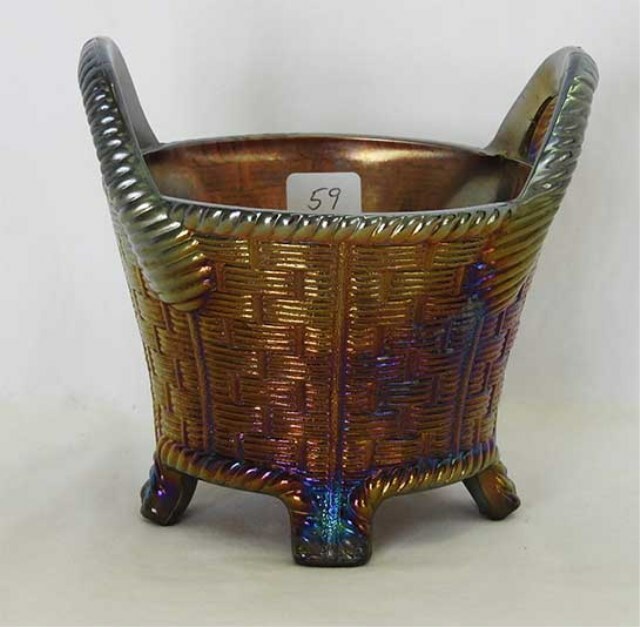 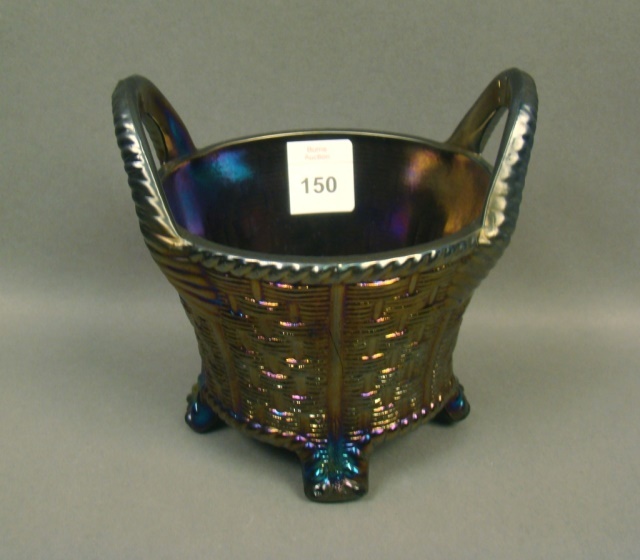 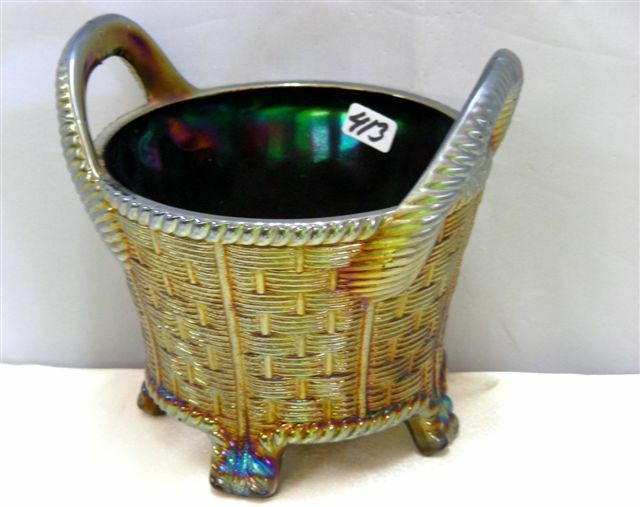 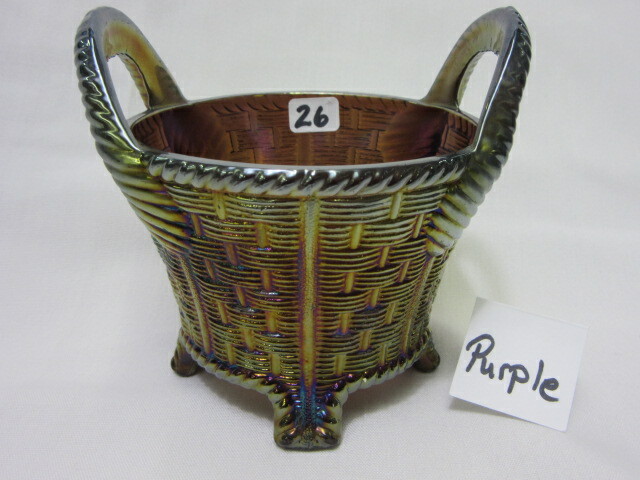 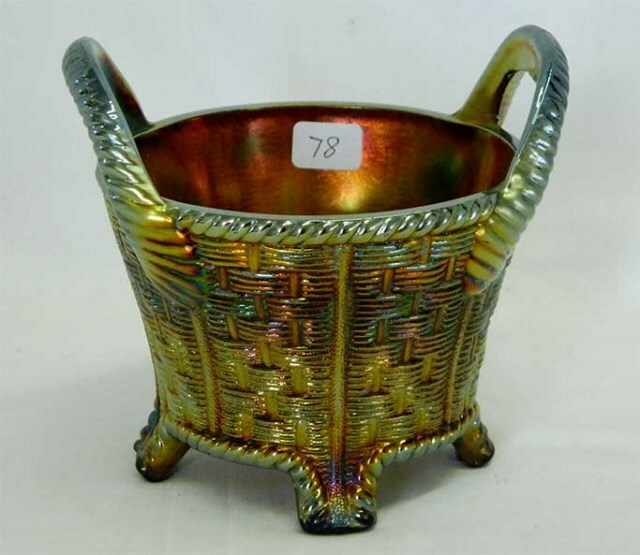 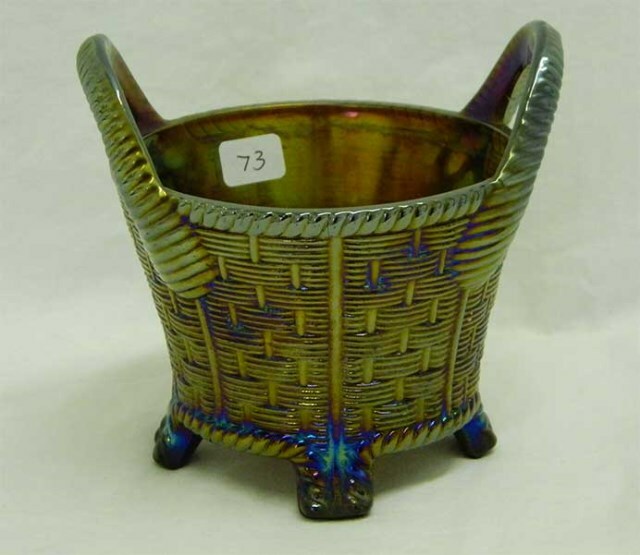 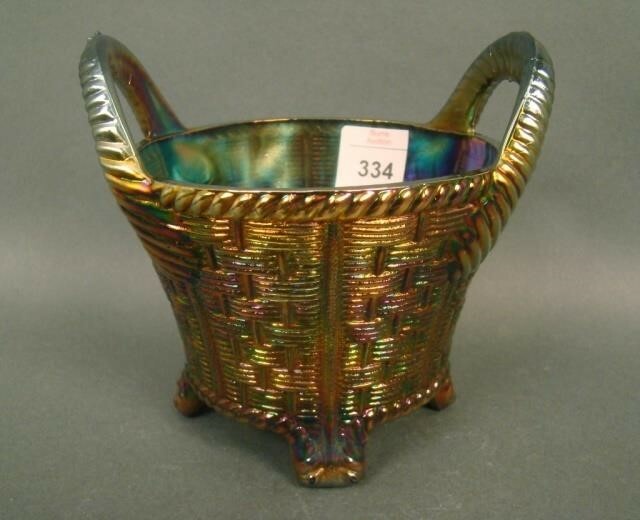 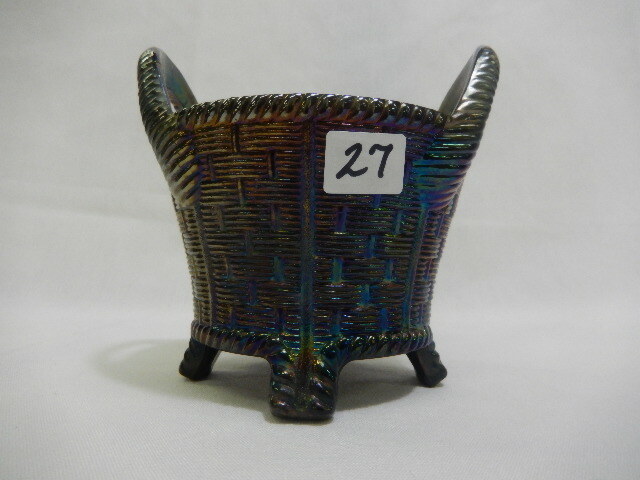 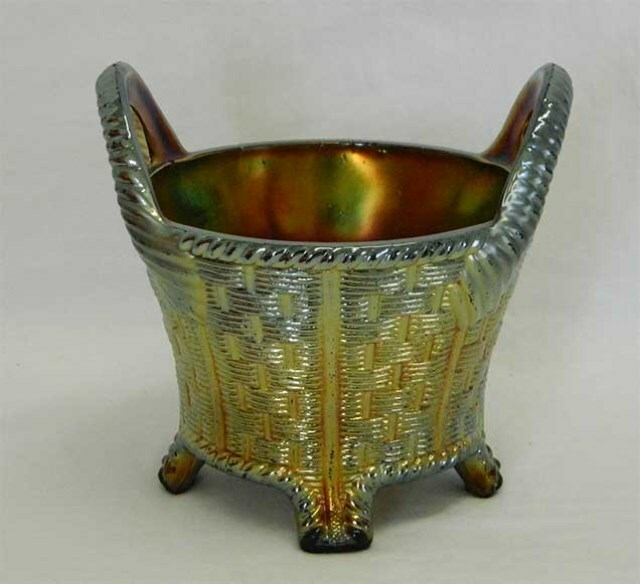 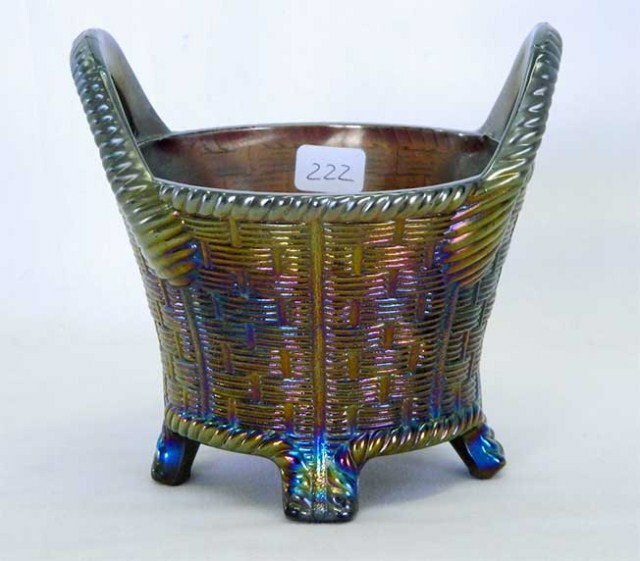 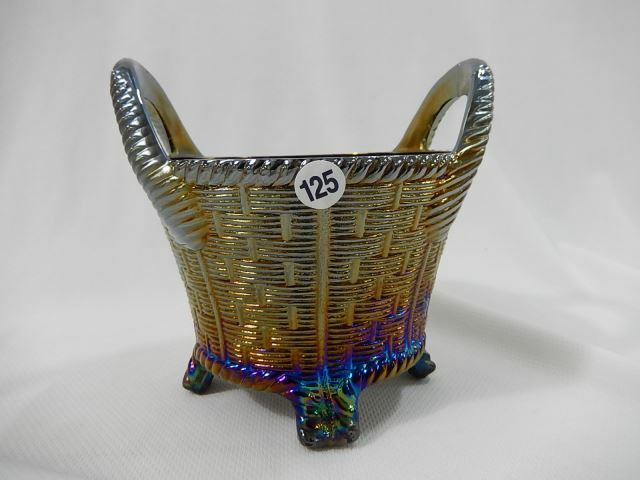 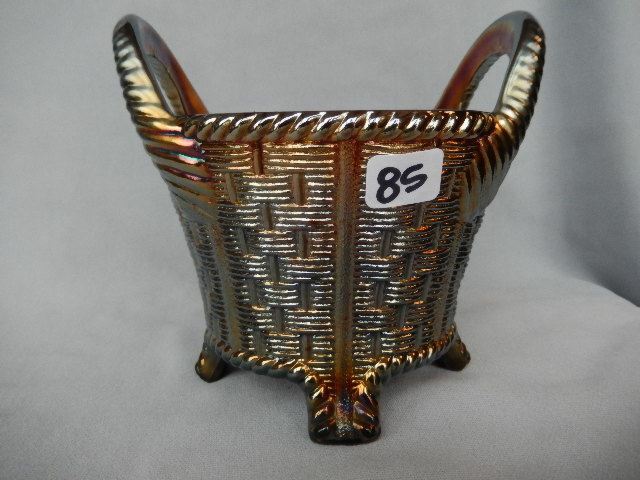 These baskets were also produced in a number of colors that were not iridized. 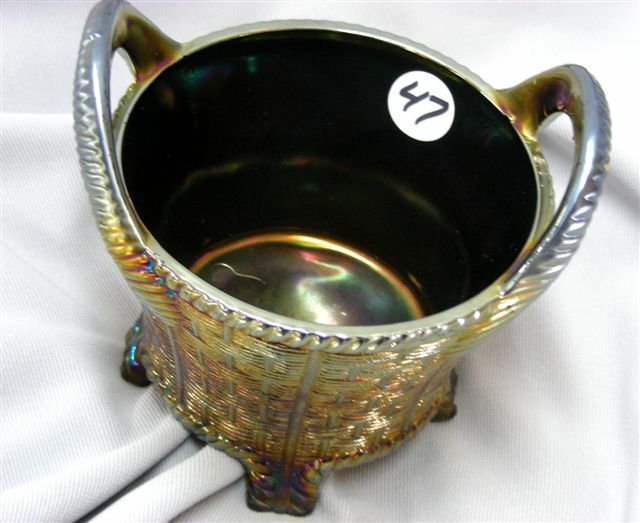 The 8-sided versions are exactly like the round except that they were spread slightly with a special tool that made the distinctive flare. 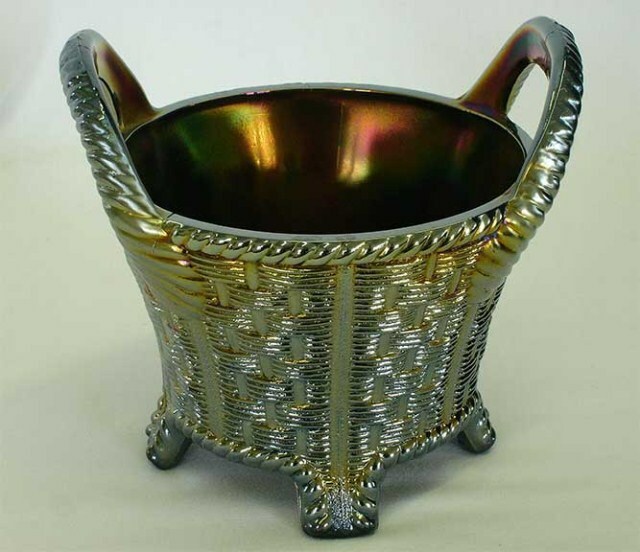 White is a common color here.